I haven’t forgot about my little rtos project, although its moving towards not really being an RTOS. 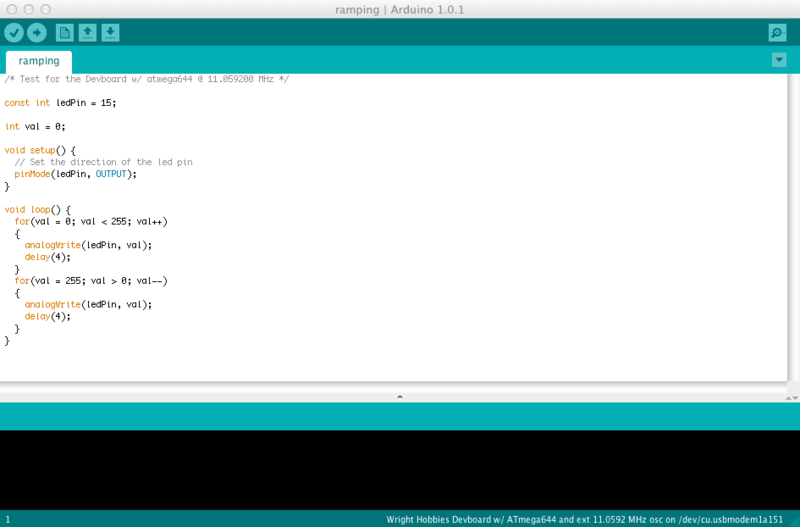 The goal is to write a task manager for the AVR and as an extent, the Arduino. As I don’t have an Arduino Mega, or any board with an AVR with more than 64 K words of flash, such as an ATmega2560, I can not write the task switcher for that board, at least not properly test it because the pointers are a bit larger for flash. So the function pointer sizes change. So this project will support AVRs that have 16 bit program counters. As I mentioned earlier, this project is moving away from being an RTOS to more of a process manager. The task switcher will still consider time as a factor in the decision to run a thread, but will have extended set of run conditions. I am going to add the concept of a lock to the task switcher and remove the concept of priority This is so the AVR cpu does not have to waste precious clock cycles performing the context switch to a task only to have yield called again. The locks are going to be contained in a linked list, and when the list is empty, the task can run. I am not removing the concept of the “next run time” because I believe that most thread locks are going to be due to sleeping, such as a PID algorithm. It needs to run at 25 Hz, and doesn’t need locks calculated until its time to run again. 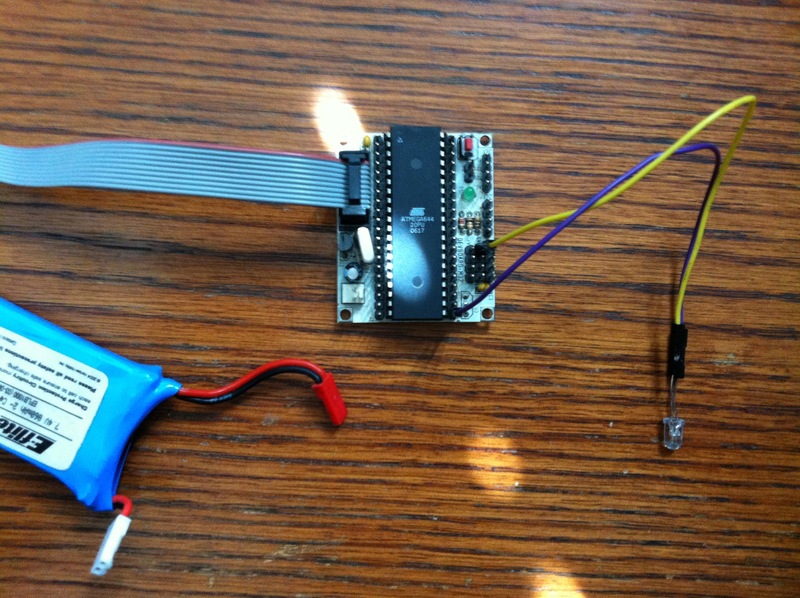 A lock could be used for example, with a UART reader. It should be locked until data is available. This generates some new definitions in the code along with the discovery that in the AVR, malloc is not an expensive operation (~100 cycles). The _avr_task_lock structure defines the lock object. It contains a pointer to the next object, a pointer to some data, and a pointer to a function which is used to figure out if that lock should expire because of the data pointer to by lock_data. The _avr_task_entry structure defines the task entry to the AVR. It contains the next time it should be run (locks are not crawled unless it should be allowed to run again), the current stack pointer, and a pointer to the first lock object. I think the manager should use the X and Z pointer to store last and current pointers when everything is ported to assembly. The only reason I would choose to store a next run time value is because if the thread needs not to be run until a time, why waste precious CPU cycles on something dependent on the clock. A pure assembly function will be added to wrap a function that is desired to be executed. This provides a wrapper so that when the thread function potentially returns, it can catch that and not blow up like the current implementation. Basically, when the task adder pushes an executable thread, it stores a function pointer to the desired function as a parameter to the beginning of the wrapper function. This wrapper function, when switched to, will call the function that is the thread, and if the thread returns, it invalidates the thread’s entry and performs a context switch, never to be executed again. Eventually, when I get around to it, I’ll make a C++ extension to this, for the Arduino boards, or just people who use avr-g++. Personally, I shy away from C++ in resource constrained environment, but hell, to each his own.